Many think that Jesus is adding to the law when He teaches certain things in Matthew 5. However, adding to, or taking away, from the law is a sin, as we are told in Deuteronomy, Proverbs, and Revelation. What exactly is going on then in Mattew 5? Interestingly enough, Jesus never appeals to anything that was written, or that the people had heard. Rather, He points to what they had "HEARD" and teaches about the error of that. It appears that many were saying certain incorrect things. Like He always did, takes offense to the erroneous teachings of men that contradict what God had actually commanded. 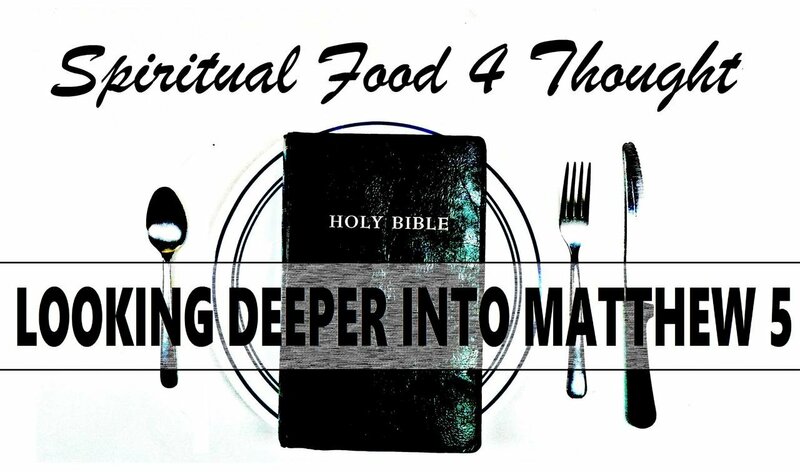 Also, if any of you enjoy these videos, please feel free to subscribe to my new channel Spiritual Food 4 Thought and share these videos wherever you think people may either enjoy them or need them. Thanks everyone! STEEMIT LIKE YOU MEAN IT! Want to sell sustainable, handmade products in the Homesteaders Co-op? Visit the Pepper Family Homestead Store here!